LOS ANGELES — Two women and a 12-year-old girl died early Saturday in a solo-vehicle crash on a connector road between the 110 and 5 freeways, authorities said. Two other men, a 13-year-old boy and a 4-year-old girl also suffered minor-to-moderate injuries in the crash, which took place about 12:15 a.m. on the northbound 110 Freeway transition road to the northbound 5 Freeway, California Highway Patrol officials said in a written statement. All seven people involved in the crash were described as Lancaster residents, however their relationship to one another was not clear. Killed were Katie Davila, 12, Abigail Romero, 19, and Abigail Estrella, 37, Los Angeles County Department of Coroner officials said. All three were passengers in the SUV, which was being driven by a 55-year-old man, officials said. First responders received a report of a solo-car crash when they encountered a 2000 GMC SUV overturned onto its side, CHP officials said. Four occupants had been thrown from the SUV, and three of them were pronounced dead at the scene. The survivors were taken to Los Angeles County-USC Medical Center for treatment, officials said. It was not clear Saturday afternoon whether those who were thrown from the SUV had been wearing seat belts, investigators added. The cause of the crash was under investigation by officers from the Central Los Angeles office of the CHP. POMONA — Rescuers rushed a teenage girl to the hospital following a shooting Saturday morning, authorities said. The shooting was reported just before 11 a.m. in the 1000 block of Laurel Avenue, Los Angeles County Fire Department Dispatch Supervisor Bernard Peters said. The wounded girl was initially described as 14 years old, he said. Her condition was unknown. Officials could not confirm initial reports from the scene that she had been wounded in the chest by a shotgun blast. Paramedics flew the wounded victim to a trauma center via helicopter for treatment. Romen Hines, 19, a U.S. Marine in town while on holiday leave, said he and others rushed to aid the wounded girl. She was lying in the middle of the street, he said. “She had all kinds of little pellets in her,” Hines said. No suspects were in custody, and description of the shooter or shooters was available, Pomona police Lt. Eddie Vazquez said. The circumstances of the shooting also remained under investigation. Detectives continued canvassing the neighborhood and checking nearby surveillance cameras for clues Saturday afternoon. Anyone with information can reach the Pomona Police Department Detective Bureau at 909-620-2095. AZUSA — Police shot and killed a man late Friday after he allegedly confronted officers with a handgun, authorities said. Lorenzo Cesar Aguilar, 23, of Azusa died in the officer-involved shooting, Los Angeles County Department of Coroner Lt. Larry Dietz said. 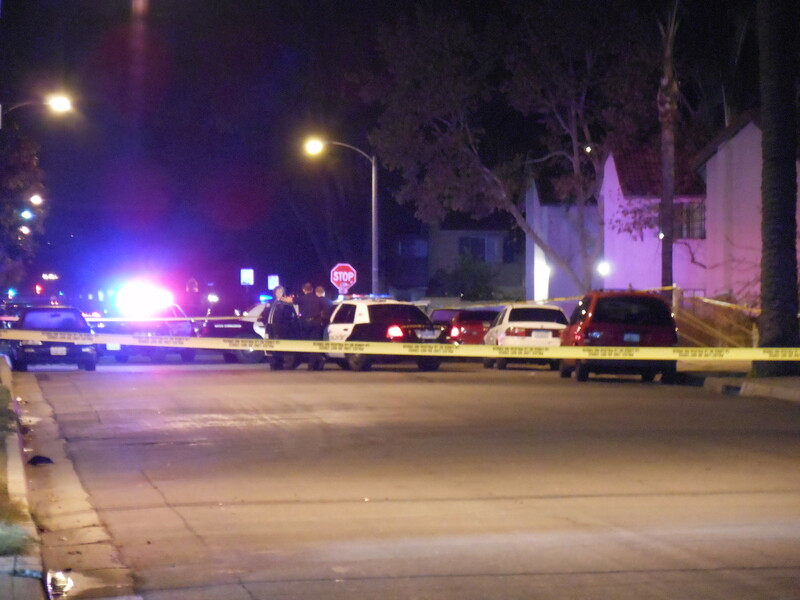 The shooting took place shortly before 9:30 p.m. along Rockvale Avenue near Fifth Street. 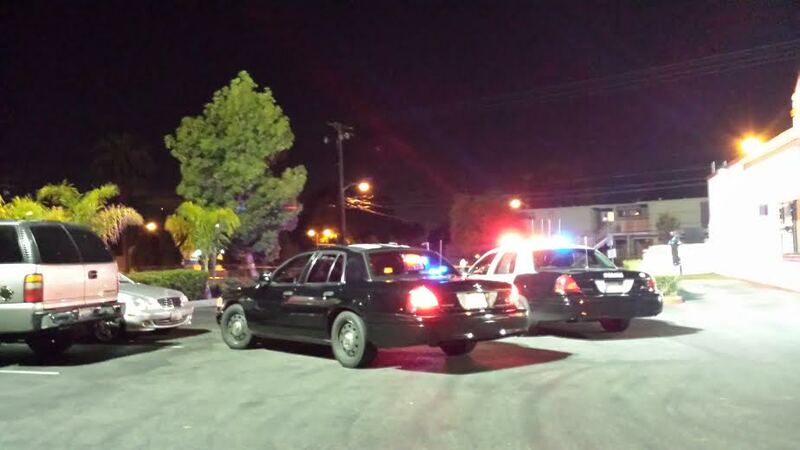 But the incident began minutes earlier when an Azusa police officer tried to pull over a suspected drunken driver in the 700 block of East Alosta Avenue, Los Angeles County sheriff’s officials said in a written statement. “The driver neglected to yield and evaded officers for a short time,” according to the statement. The driver — later identified at Aguilar — ultimately stopped the car, got out and began walking away from officers with a gun in his hand, officials said. It was unclear how many officers fired, or how many times. Paramedics pronounced Aguilar dead at the scene, Los Angeles County Fire Department officials said. 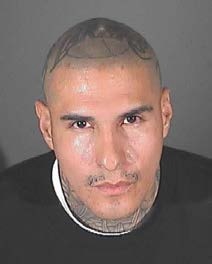 A search of Los Angeles County Superior Court records turned up no criminal history on the part of Aguilar. No officers were hurt in the incident, authorities added. Police cordoned off a wide crime scene, which included the parking lot of the nearby Santana’s restaurant. Detectives from the Los Angeles County Sheriff’s Homicide Bureau were handling the investigation, as is common practice when dealing with officer-involved shootings in the county. Azusa police deferred comment to the sheriff’s department. The community is rallying to quickly rebuild a roadside memorial to a slain sheriff’s deputy near Irwindale that was destroyed in a car crash Thanksgiving morning. 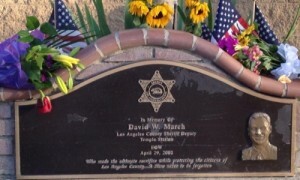 The memorial marked the location along Live Oak Avenue near Peck Road in an unincorporated county area near Irwindale, where Deputy David March, 33, of Saugus, was fatally shot after pulling over a career criminal on April 29, 2002. A woman was driving eastbound on Live Oak Avenue about 7 a.m. Thursday when she fell asleep at the wheel and allowed the vehicle to drift to the side of the road, Los Angeles County sheriff’s Deputy Hector Figueroa said in a written statement. 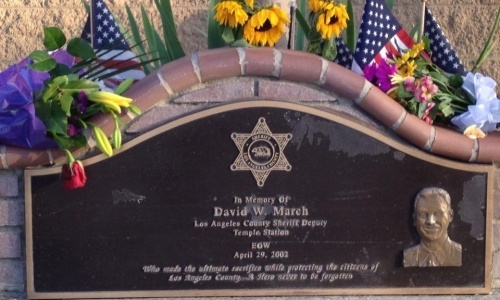 But the Irwindale Police Officers Association, which initially helped fund the monument, along with L & L Building Material Inc., which originally did the brickwork, are wasting no time getting March’s memorial restored. “The cost is no issue. 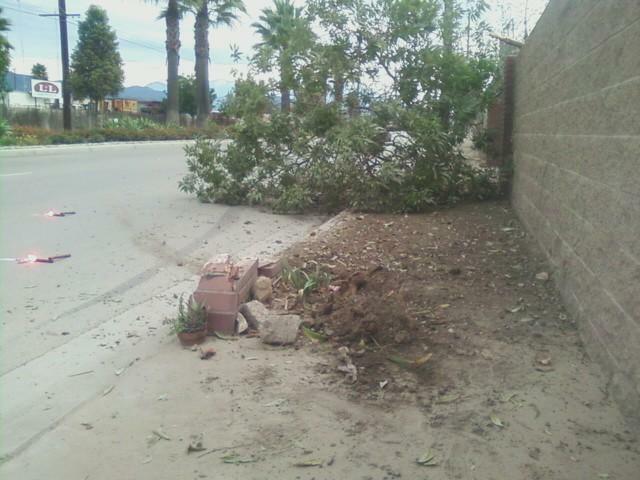 It needs to back up as soon as possible with no delay,” Irwindale police Officer and POA President Rudy Campos said. L & L volunteered to redo the brickwork for free, and the Irwindale POA will have the plaque that adorned the memorial polished and repaired, Campos said. He expressed gratitude to L & L for stepping in to help. Neither the driver nor her passenger were injured in the crash, but the memorial comprised of bricks and a metal plaque was destroyed, he said. No crime was initially suspected in the crash, which was being investigated as an accident, officials said. The importance of the monument persuaded officials to move forward with the repairs early next week, hopefully as soon as Monday, instead of waiting on possible compensation for the damage from the driver. It’s unlikely the POA will seek to be reimbursed by the driver who crashed into the monument he added. The destruction of the memorial gave a glimpse into how deeply March’s slaying affected the local community. Flowers have been showing up at the memorial site since the crash, Campos said. 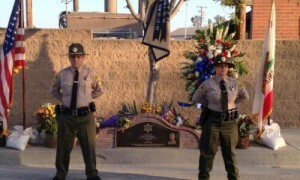 Fellow deputies have held annual 24-hour honor guards over the site on the anniversary of the deputy’s slaying. Following the murder of March, who was assigned to the sheriff’s Temple Station, killer Jorge Arroyo Garcia, also known as Armando Garcia, fled to Mexico where he was arrested in 2006. He is now serving a life sentence in prison. LA CRESCENTA — An armed robbery suspect was found dead from a self-inflicted gunshot wound after barricading himself inside a Foothill Boulevard cell phone store Friday, officials said. 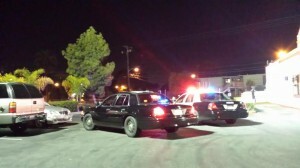 The incident began shortly after 4 p.m. at a shopping center in the 2600 block of Foothill Boulevard, just east of Raymond Avenue. A man in his 30s showed up at the Rite-Aid Pharmacy and asked for pills, Los Angeles County sheriff’s Sgt. Burton Brink said. When the employees refused, he pulled a handgun and demanded pills. The gunman fled the pharmacy with the pills, Brink said. It was not immediately clear what type of pills were taken, or how many. The standoff continued for more than five hours before the suspect was ultimately found dead. Officials initially feared the gunman may have had hostages, but as the situation progressed, that did not appear to be the case, Brink said. “He doesn’t have any employees,” Brink said shortly after 8 p.m. “We think there’s nobody (else) in there,” though he added deputies had not ruled out the possibility of any bystanders still inside the store. Brink said he could not confirm initial reports from the scene that the man had taped a pistol to his hand. The shopping center, which included a Ralphs grocery store and other businesses, was evacuated. Officials summoned a SWAT team and crisis negotiators to the scene. Deputies made contact with the suspect by telephone. He told deputies at one point he would surrender after speaking to his mother. After he had done that, he told deputies he would surrender after smoking a cigarette. But deputies entered the business shortly before 9:45 p.m. and found the man dead from a what was believed to be a self-inflicted gunshot wound, sheriff’s officials said. His identity was not available. No deputies fired their weapons during the incident, sheriff’s officials added. Deputies from the Altadena, Temple and Santa Clarita Valley stations helped Crescenta Valley deputies, crisis negotiators and SWAT team members at the scene. NORWALK — Deputies found no one injured late Wednesday following a shoot-out between two vehicles in a residential neighborhood, officials said. The shooting was reported about 10:30 p.m. in the area of Angell Street and McRae Avenue, Los Angeles County sheriff’s Lt. Jason Skeen said. Witnesses reported gunmen inside a gray sedan and a green pickup truck trading fire, the lieutenant said. Bullet casings were found in the area, however no gunshot victims were found either at the scene or at area hospitals, Skeen said. SOUTH PASADENA — Police jailed two men earlier this week after they were found in possession of a purse that had been stolen in a South Pasadena car burglary, authorities said. Elvis Ayala, 31, and Andres Alvares, 23, both of Los Angeles, were booked on suspicion of receiving stolen property following their arrests early Tuesday in the 1000 block of Highland Street, according to South Pasadena police officials and Los Angeles County booking records. A resident called police about 3:40 a.m. to report seeing two men getting out of a parked car, South Pasadena police Detective Richard Lee said in a written statement. Ayala immediately surrendered to arriving police officers, while Alvares ran. 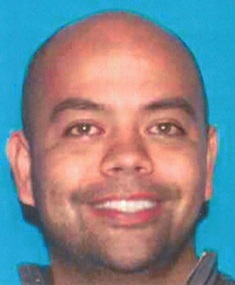 Alhambra and San Marino police helped South Pasadena officers track Alvares down in a nearby yard, Lee said. He was found with a backpack that contained a purse that had been stolen from an unlocked car just around the corner, in the 900 block of Buena Vista Street. PHOTOS of Elvis Ayala (top) and Andres Alvares (below) courtesy of the South Pasadena Police Department. PICO RIVERA — Deputies are continuing to hunt for suspects and are seeking the public’s help in connection with a spike of burglaries in the parking lot of a Pico Rivera gym, officials said. 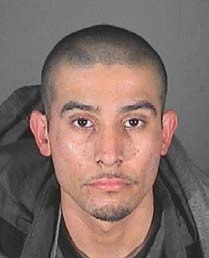 One suspect was jailed Tuesday in connection with one of the 30 or so vehicle burglaries reported over the past six months in the parking lot of L.A. Fitness at Washington and Rosemead Boulevards, Los Angeles County sheriff’s Sgt. Joe Van Damme said. Eight break-ins have been reported in the past three weeks alone. Another suspect in the string of burglaries has been recorded on surveillance tape, he said, though detectives asked the public’s help in determining his identity. Detectives Tuesday jailed a 21-year-old man at his Van Nuys home late Tuesday after he was linked to a Nov. 10 car burglary outside the gym, Van Damme said. Surveillance camera images captured the license plate of his car and his image as he took part in the break-in, along with two other accomplices, the sergeant said. David Zulalyan was booked on suspicion of auto theft and was released from custody after posting $20,000 bail, according to sheriff’s officials and Los Angeles County booking records. And detectives Wednesday released images of another man sought for a Nov. 15 burglary in the parking lot as he used a stolen credit card at a Montebello store within hours of the crime, Van Damme said. 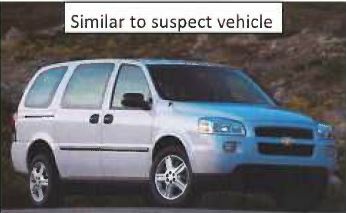 He was described as a Latino man between 18 and 25 years old, and a Chevrolet Uplander SUV was linked to the burglary as well. Deputies keeping watch over the parking lot Friday afternoon briefly chased two men they spotted burglarizing a car in the L.A. Fitness Parking, however the thieves ultimately eluded deputies during the chase. Anyone with information was asked to contact sheriff’s Deputy Chris Lopez at 562-949-2421, ext. 5523. Acting on tips from the public, FBI agents arrested David Kaup, 30, Tuesday at a home where he had been staying in Las Vegas, FBI officials said in a written statement. He’s accused of bilking $9 million from investors through a bogus investment scheme, as well as another $2 million from families through a fraudulent home refinancing scheme. In the first scam, Kaup used created a company called Lunden Investments and persuaded investors to give him more than $9 million, which he claimed would fund commercial loans, officials said. But instead, he lost the money trading on the Foreign Currency Exchange Market. He ran a similar scheme with a third company called First Mortgage West, netting about $2 million from 50 families seeking help with refinancing their homes, FBI officials said. It was not clear Wednesday if he would face additional charges in connection with his alleged flight from justice. PASADENA — A 93-year-old woman woke up to find two prowlers rummaging through her room Tuesday night. Pasadena Police Lt. Tom Delgado said the burglars took jewelry but didn’t have the estimated value. Police said she chased the suspects but they got away. The burglary in the 500 block of Toolen Place was reported at 10:14 p.m. Tuesday. The woman went to bed at 10 p.m. About 14 minutes later, Delgado said the woman was awakened by a loud bang and her security alarm going off. She saw two men ransacking her bedroom. Delgado said one of the men took a bureau drawer containing jewelry. Both prowlers left through the back door. Delgado said the suspects were only described as two black men.